We pride ourselves on staying up-to-date with the latest accounting and financial planning information available, including changes in regulation, new resources that can be used, and innovative ways of planning and implementing financial goals. When we find new information that will help our clients grow, we are always willing to pass on those helpful hints. We also send out quarterly newsletters with articles on relevant topics to keep our subscribers in the loop on changes in the accounting and financial planning world. 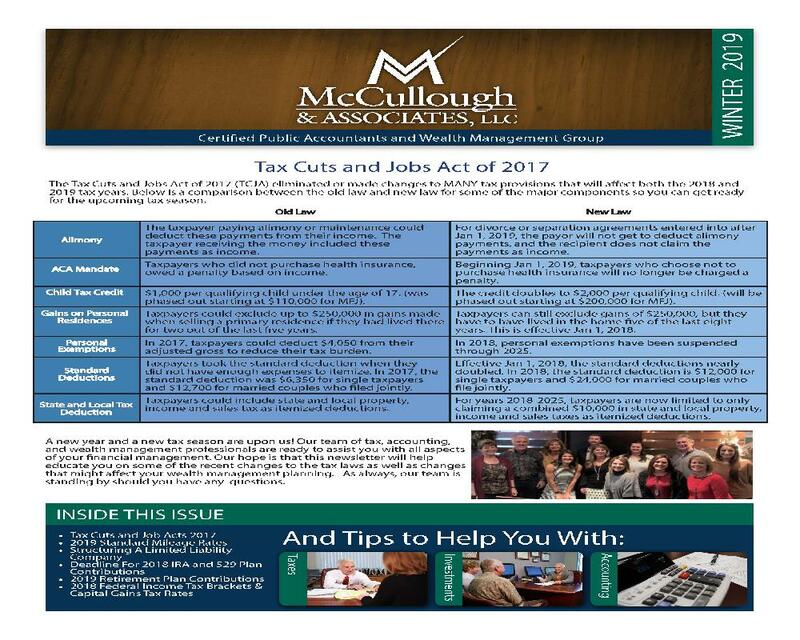 Take a look at newsletters that we have sent out in the past, or check our blog for updates on regulations or resources that can be used to help you and your business achieve your financial goals.